I have photographed hundreds of weddings! Yet at our own wedding, there were things I wish I had done differently, that would have saved me some time here and there. The day goes so quickly and you really want to make the most of it, so it's not just a blur! 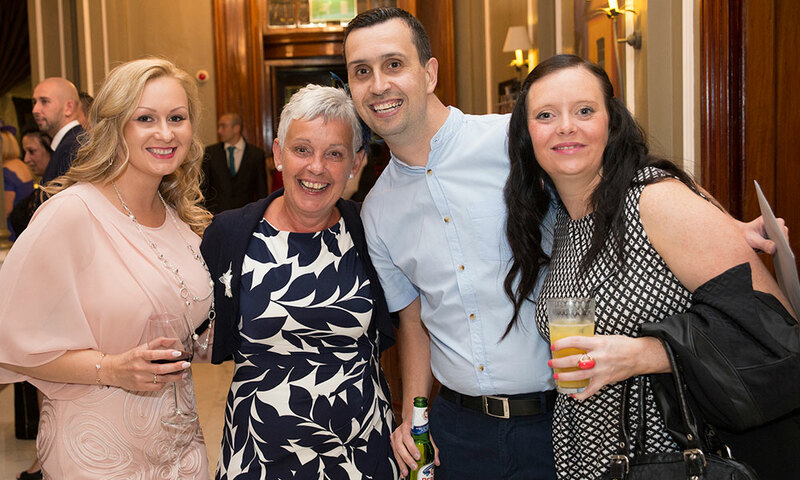 In this little article, I have put a few things together that I see at almost every wedding, and with a little bit of planning, you can make that little bit more time and have a more enjoyable time with your family and friends. 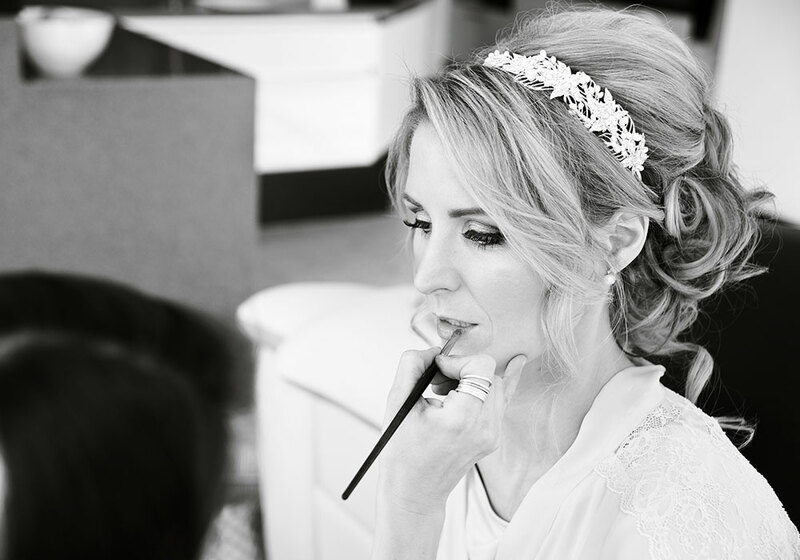 Regardless, if you, the bride, are getting ready at home or at the venue or in a hotel, make sure all the suppliers are coming to you – i.e. hair stylist and make up artists are coming to your home, or hotel, rather than you having to leave and go to them, or their salon. This avoids having to arrange taxis, transport and people arriving at different places on time. 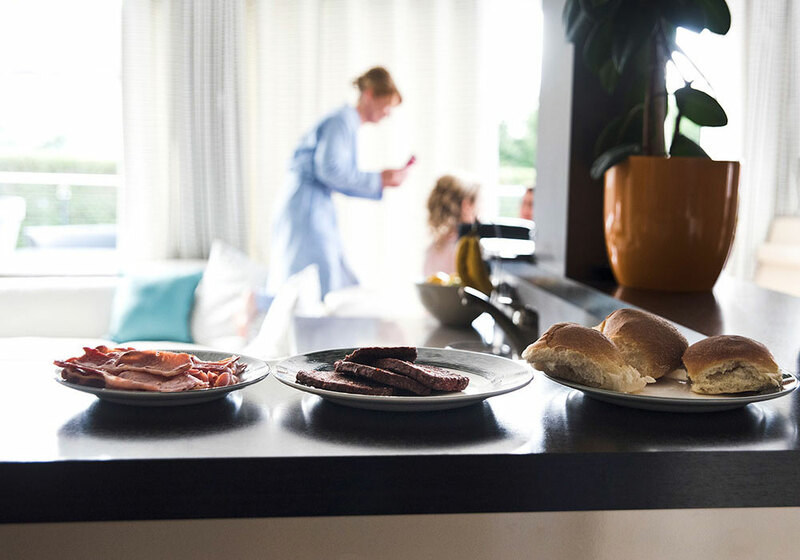 Delegate one person who is responsible for breakfast so that you and the girls are looked after in the morning. Organise a good breakfast for your wedding morning, your favourite thing, and delegate this to one person who will make sure it is prepared for you and the girls. Have your emergency little bag ready, this should include: small scissors, chewing gum or breath spray, paracetamol, shoe gel pads, deodorant, tissues, your lipstick. Remove all the tags and the little loops (unless they are needed for the hanger). I remember quite a few occasions we have tried to find a pair of scissors 5 minutes before the ceremony. If the dress is buttoned up, find someone without artificial nails who can help you get dressed and is OK with the buttons. The dresses tend to hang up somewhere which is great for taking photos of them. First thing in the morning (if you can – the day before is even better) – take the wedding dress out of the bag so it can “breathe” and any creases can “hang out”. 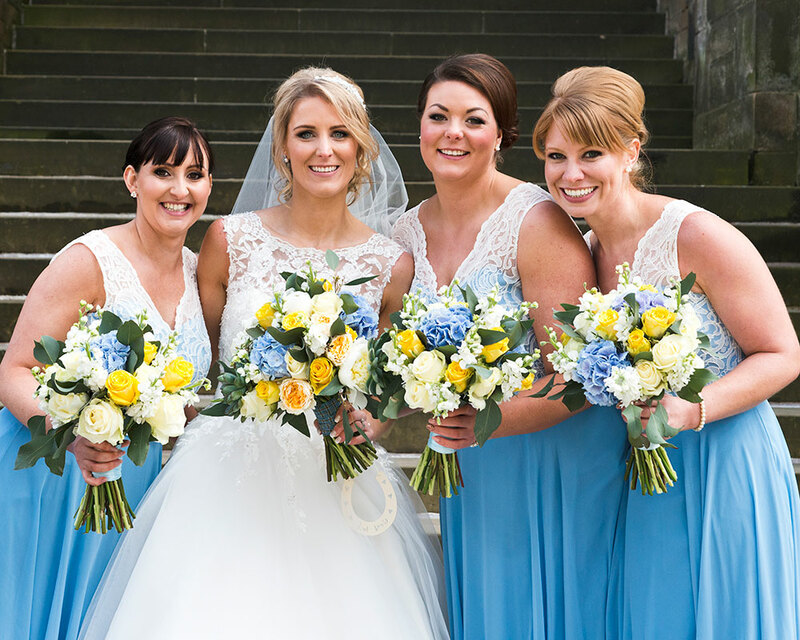 Arrange a dress rehearsal a few days before the wedding with your bridesmaids. I often find that brides only ever tried on the dress in the shop, sometimes months before the wedding. When it comes to putting it on, they don’t know if they step into it? Or put it on over your head? Does the underskirt go on first? Try it out without the hair and makeup and nominate someone who will help you into the dress on the day. Make sure you plan the morning so that there is plenty of time to have a few photos taken before you leave (if you want to), or before the ceremony at the venue without running into time issues. The usual plans I see is this: Ceremony is at 2 pm, 10 min transport, the bride wants to be late… so the transport is organised for 1.45ish. And this then means you could be ready in your dress around 1.30ish? (which never happens by the way!). Try to aim being totally ready at least 20 minutes before you leave for the ceremony. This gives your photographer time to take photos of you, your family, and the girls before leaving, and you can actually relax for a minute and pack / organise last minute things, such as breath spray, where's that silver penny again? If you want to be late – it’s the custom, after all – try to be at the venue on time. Why? 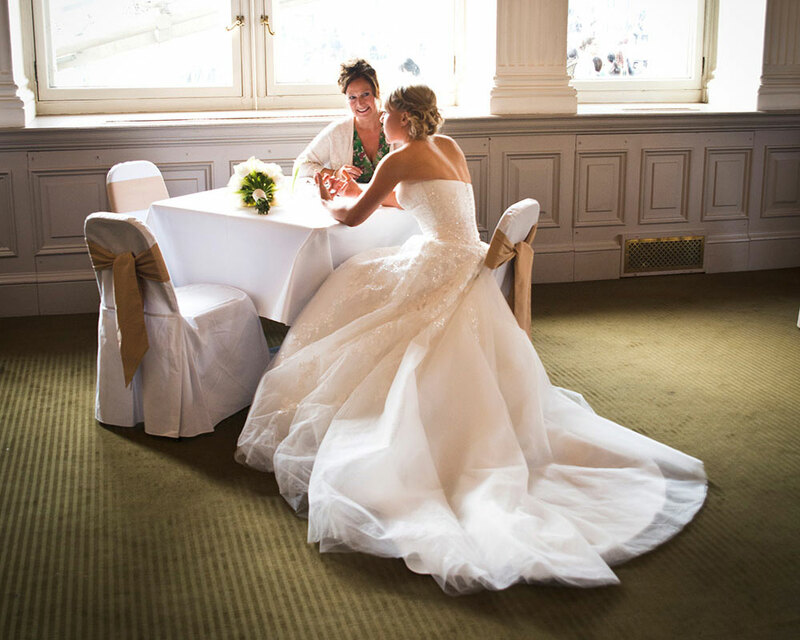 You need to calculate speaking to the celebrant before the wedding. Every registrar, humanist, priest or minister will insist on seeing you before the wedding. They will need to check you are OK and in a fit state to get married, they may check your personal details with the ones printed on the marriage schedule etc. 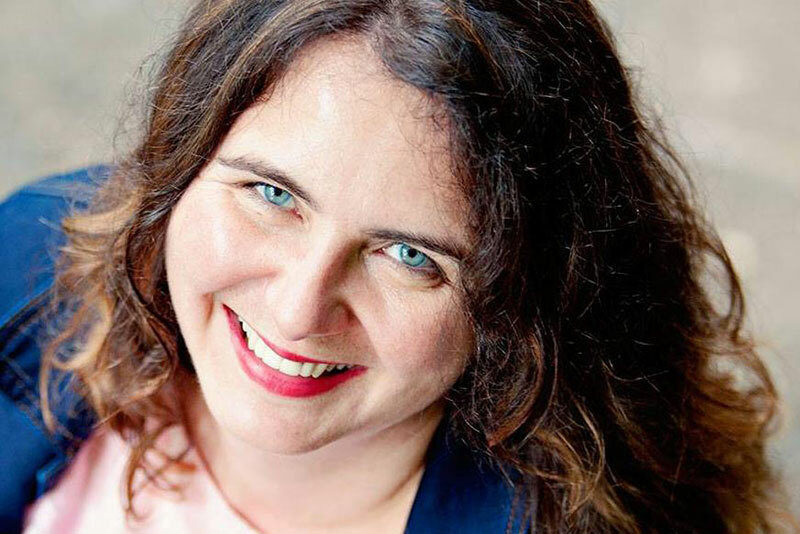 So please plan time for this – if you are 10 minutes late – this will turn into 20 minutes because of the meeting with the celebrant before the wedding. 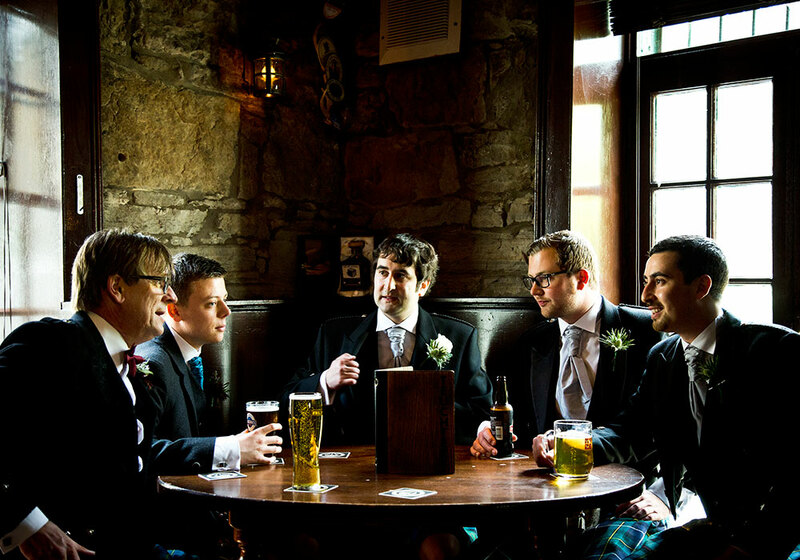 The Groom – make plans to go to the pub, or the venue bar, have a pint (just the one!!) or have a game of pool in the morning with the lads. 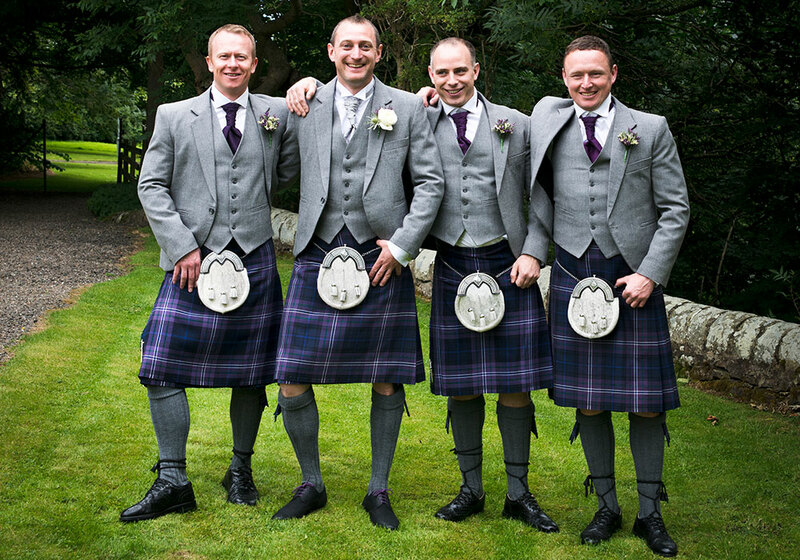 Make sure your wedding morning is chilled out and you are not stressing about getting kilts delivered, or trying to arrange last minute things. 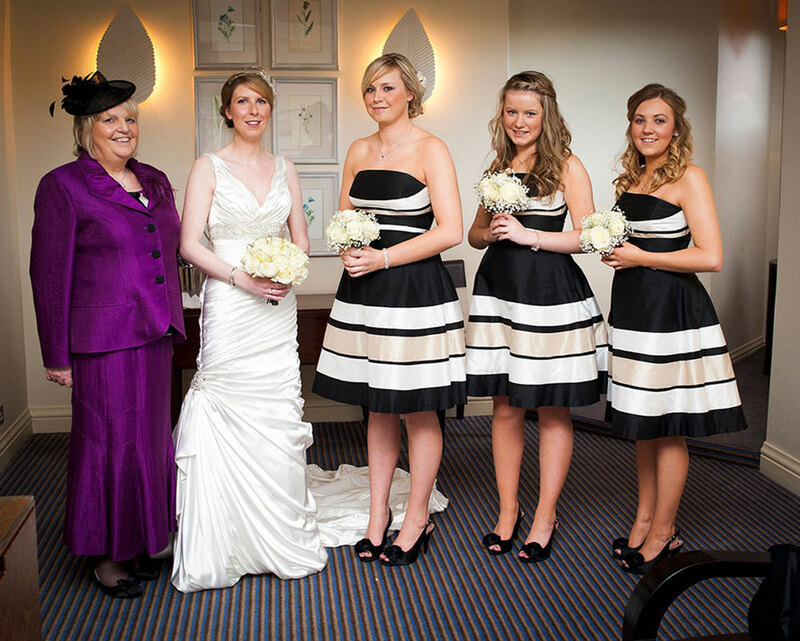 Delegate tasks to your Best Man and your ushers. Kilts – have a dress rehearsal a day before the wedding with someone “who knows”. Watch YouTube videos etc. here’s a lovely illustration as a starting point: How to wear a kilt. If you hired your kilt, the shop will give you a helping hand on how to put it on. 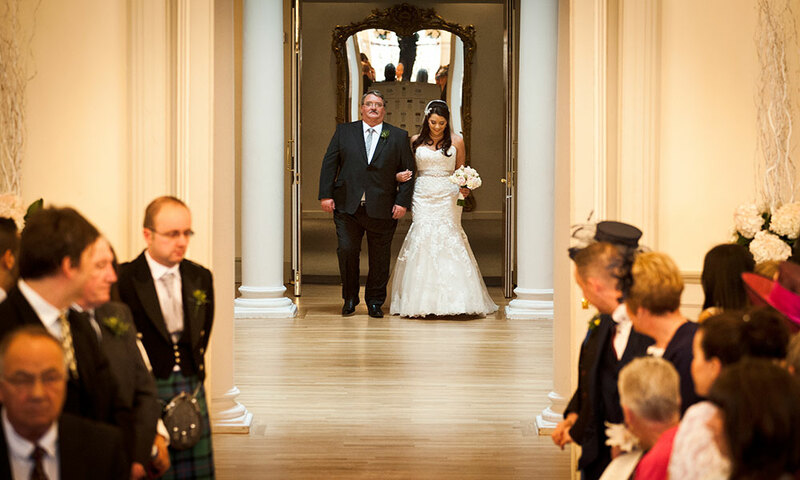 Walking down the aisle – take your time. Enjoy the moment leading up to meeting your groom (and give us photographers the chance to take some lovely photographs). The same applies to leaving the ceremony after, take your time leaving the ceremony, look at all your family and friends. They might want to take a quick photo too. Reception, Call for dinner, Dinner. The most relaxing weddings are the ones with a 2-hour gap between the END of the ceremony and the call for dinner. You may think guests will get bored – this is not the case. Have nibbles at the ready, and everyone will have a good time. For example, if your ceremony is at 2 pm, it will end roughly around 2.40 pm – then ask your venue that the call for dinner is not before 4.30 pm. 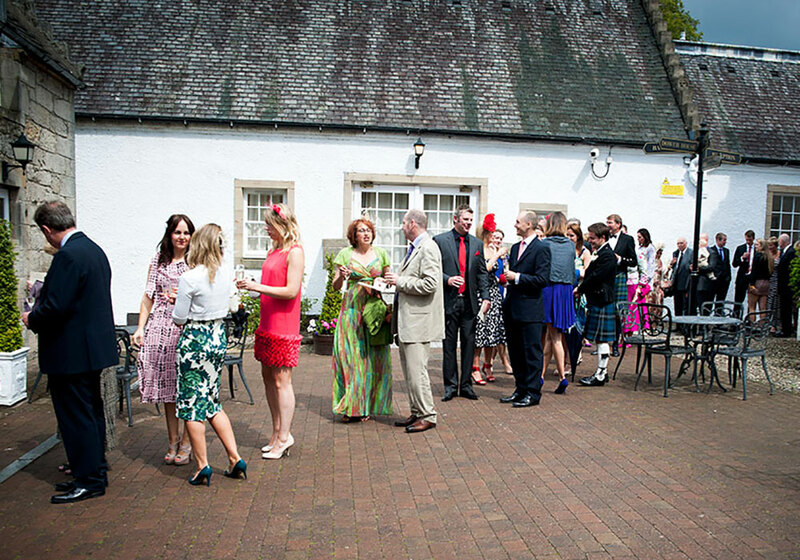 This is important – as the venue might just tell you that dinner is at 4.30 pm – but that means that the "call for dinner" is at 4 pm – which means there is only 90 mins time to mingle, take photographs etc. I have also written a little article about how much time you should plan for your wedding reception. Group photos – try to limit the family groups to 6 combinations. The standard ones I suggest are: B&G + her parents, B&G + his parents, B&G + both parents and siblings & partners & kids, B&G + bridal party (bridesmaids, ushers, best man). Also read: What are the standard family group photographs at a wedding? 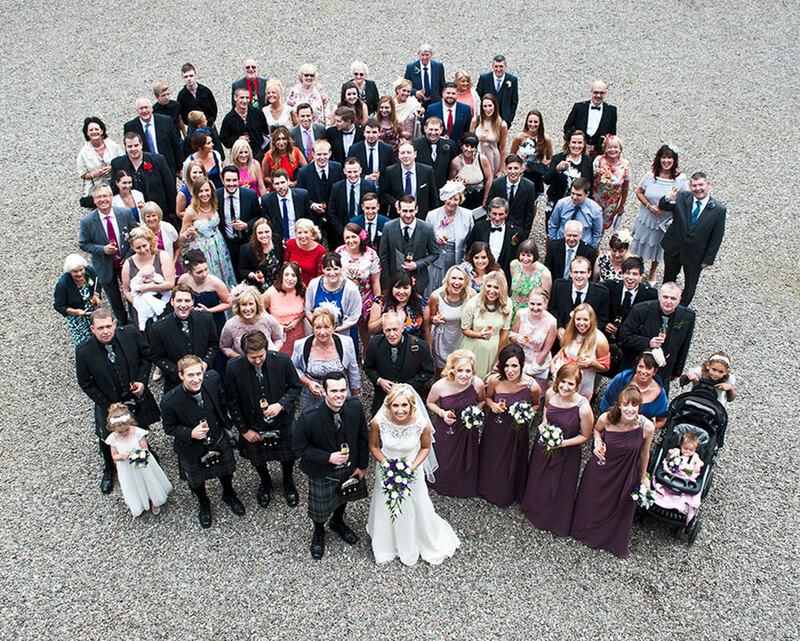 And: How long should I plan for formal group photographs at my wedding? Group photo of everyone – every now and then we get a request for a group photograph with all the guests. This is a lovely idea, but needs to be organised with the venue, and they should know before the wedding that you wish to do that. It can take up to 20 minutes to get all the people in one place and rounded up, so it can take quite a bit of time out of your reception time. Speeches – before dinner, think about the microphone! It's best to have the speeches before dinner. Why? The people who are delivering a speech can enjoy their meal without being nervous about having to speak after dinner, and the tables look pristine for photographs – no lipstick on glasses, no crunched up napkins or dirty plates. Also, if you have a large wedding, with say 80 – 100 dinner guests – the individual tables are getting served at different times which means that some people are about to finish dessert, while others are still waiting for theirs. So the ones that have finished may start to get up, go to the bar, mingle again etc. and it’s time-consuming to get everyone sitting down again for the speeches. Cake cutting – there are different options, before the speeches, after the meal, when the evening guests arrive, before the first dance. 9 out of 10 weddings we photograph the cake cutting is before the first dance, when all the guests are present (day & evening wedding guests). It’s a good photo opportunity and it also gets you on to the dance floor, in time for your first dance. Here's an interesting little article about The truth about Naked Wedding Cakes. Receiving line. We only see them very occasionally – maybe one in 20 weddings. Even with only 50 guests – this can take 45 minutes out of your wedding day. The First Dance – for good photographs try and have a first dance that is just for you and your partner. Sometimes, the couple don’t want to dance on their own for any length of time, and then the DJ or Caller will call people to join in as quickly as 30 seconds after the first dance started. 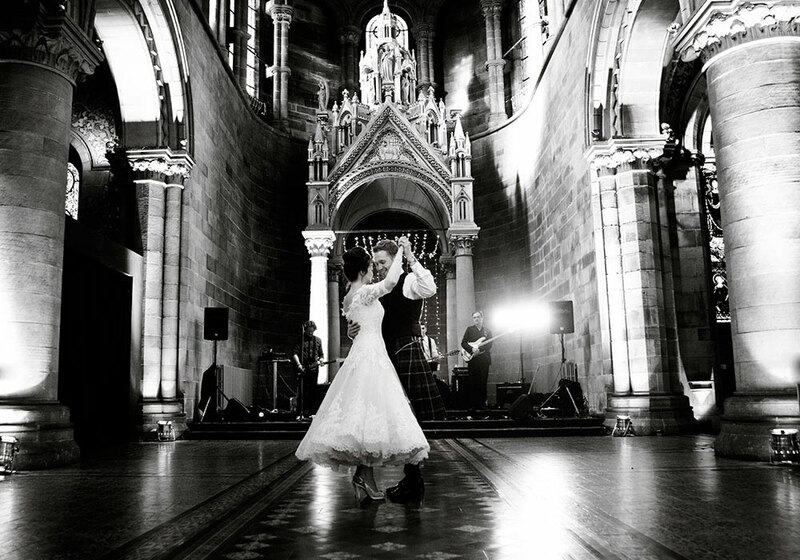 For amazing photos and different photo options try and enjoy your first dance – a full song – and then ask the others to come and join you at the dance floor. Sweetie Bar - no bags you ask? 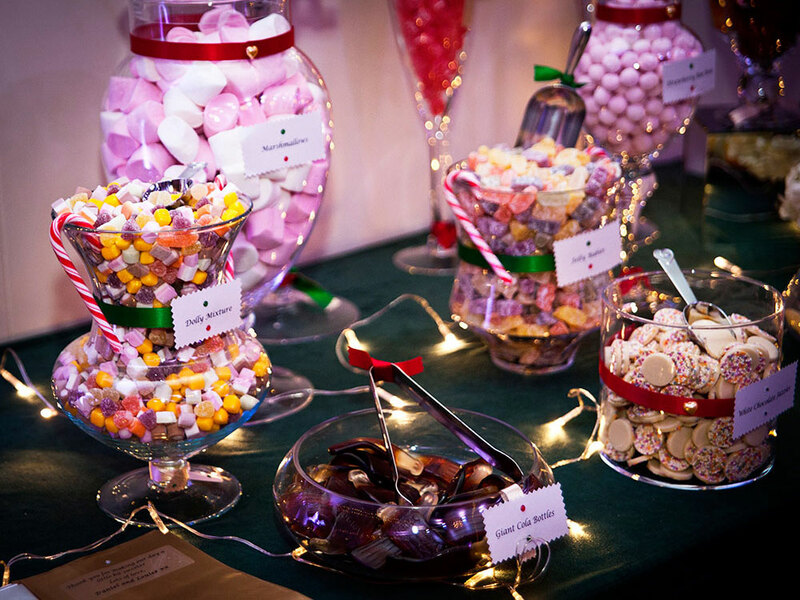 If the sweetie bar provides bags and shovels, it will be emptied within half an hour. I have seen this a few times now, guests fill one big bag and take it away, leaving the sweetie bar empty within minutes of opening. Without bags and shovels, people can keep going back and pick up little sweeties more often. Not every venue allows confetti. So make sure to have a chat with your wedding coordinator and find out if you are allowed to have confetti at all, and then which type of confetti is acceptable. Some venues allow confetti, others allow rice, or organic / dried petals as confetti. Have a chat with your photographer on the day that you would like a confetti opportunity (if the venue allow this). 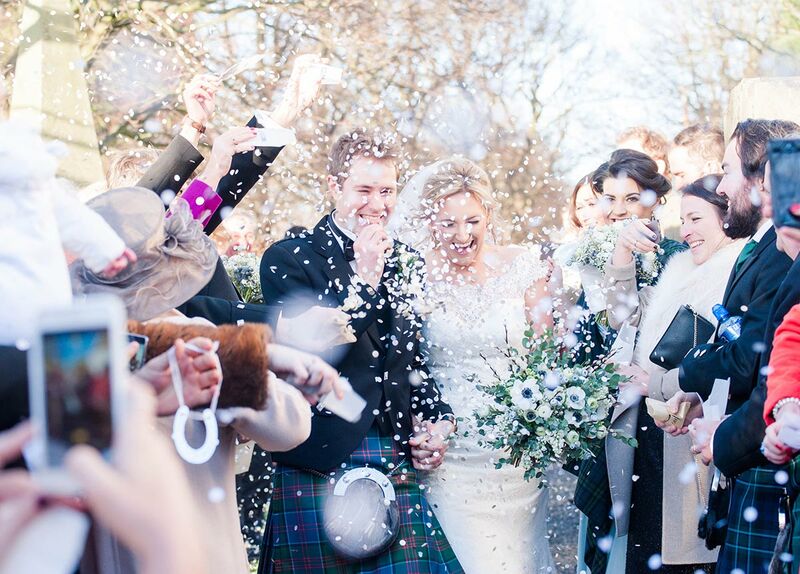 An experienced photographer will help set the people up around you for some lovely confetti images. Throw-away cameras – are a thing of the past really. Set up a dropbox and invite your guests to upload photos to the Dropbox, or a website like this (wedpics) where your guests can upload their photos of your wedding to your own wedding app. Work with your suppliers as much as you can. They are all there to make your day as special as they can – we do! Trust your photographer! They will have seen all weathers and will be experienced to deal with the situation. Don't worry about it! !